J Cole’s fourth studio album, 4 Your Eyez Only, is a rich work, best listened to from start to finish. It tells the story of Cole as he grows up, with parallels to his friend who was killed due to his involvement in drug dealing. The online controversies surrounding J. Cole and his hip-hop prowess come fully into the light with this album, which for the most part is not meant to be played at a party. People who are against J. Cole because of this will honestly be disappointed. Coming exactly two years off his “double platinum with no features” album, 2014 Forest Hills Drive, Eyez shares many similarities to the album. It features a soulful, somewhat R&B focus that Forest Hills did so well. I understand why people don’t like, J. Cole, as he can be very corny at times. In my opinion, though, he is one of the best lyricists in the game, right up there with Kendrick Lamar. 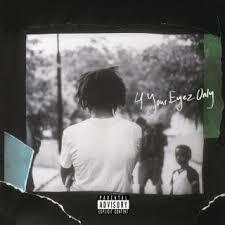 4 Your Eyez Only is a very good album, a good storyline, and a good collection of singles as well.